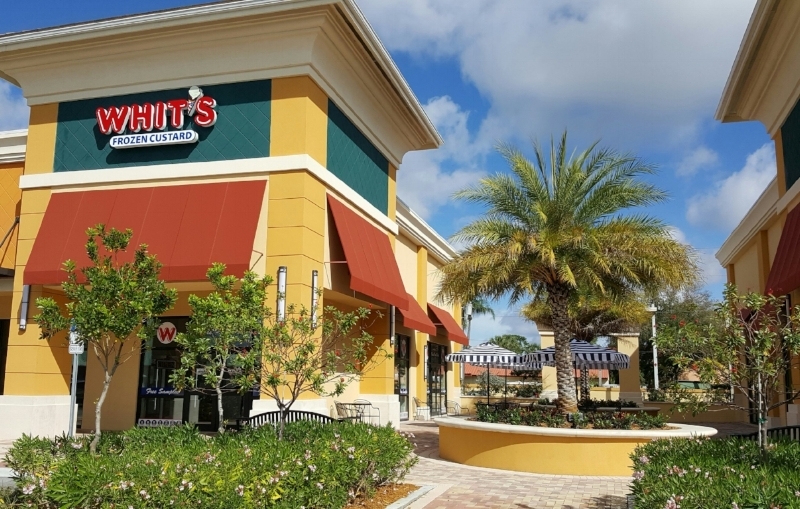 Whit’s Frozen Custard of Stuart is proud to bring the wonderful tradition of hand crafted, made fresh daily, Frozen Custard to Martin County and the Treasure Coast. Our newly constructed location boasts a welcoming décor and relaxing outside patio with seating for 30-50 people around the courtyard. Open year round, we plan to serve our wonderful treats 7 days a week, with only an occasional closing for Holidays. Come see us, just west of Kanner Hwy on the north side of Monterey… before you head over the Palm City bridge. Our hope is that Whit’s becomes a destination for family and friends to congregate, and make lasting, meaningful memories they remember for years to come. Now serving Vegan Frozen Desserts made with cultured coconut milk! At Stuart we have various flavors of vegan available by the pint and occasionally by the scoop.